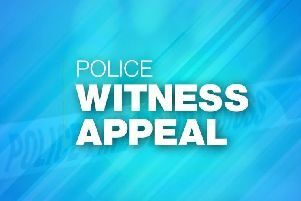 Police are appealing for witnesses following a ‘hit and run’ road traffic collision over the weekend. Detailing the incident, a police spokesperson said: “Local Policing Team officers in Newtownabbey are appealing for witnesses following a hit and run road traffic collision in the Monkstown area. “Sometime between Sunday, November 12 and Monday, November 13, extensive damage was caused to a resident’s vehicle which was parked in the area of Cashel Drive.